Home LCD LED LG Samsung Sony LG vs Samsung vs Sony which is the best brand for LED, LCD TV? 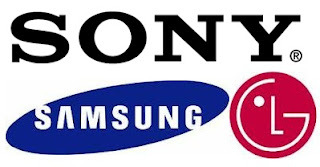 LG vs Samsung vs Sony which is the best brand for LED, LCD TV? If you are in a hurry of buying a LCD or LED TV and are in a dilemma about which brand to go for while purchasing your TV then this article is just for you. To tell you the truth each brand is really famous for its own features and no brand has all the features. I have tried to do a tabular comparison to help you clear the doubts if any. As per the score Samsung is the clear winner. I myself bought the Samsung LED TV. Best part about Samsung is its ability to play any video format also its not very expensive either. Problem with Sony is it cannot play all video formats but Sony is best in Picture Quality. LG and Samsung are both good but Samsung scores on video formats play ability, power consumption.